THE COST of having the Defence Forces attend Shannon Airport this year to deal with US military aircraft landings is €59,162.24, according to the latest figures. 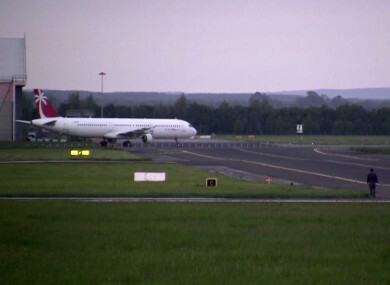 Last year, 334 applications for military flights to land in Shannon Airport were approved. In total this year, the army was deployed to assist with landings on 82 occasions at the airport. The costs, which were released to Wexford TD Mick Wallace, relate to security duty allowance paid to members of the Defence Forces, as well as rations and fuel. For security reasons, the minister said it would not be appropriate to disclose the details regarding the number of personnel assigned to each deployment. “I am satisfied that there is ongoing and close liaison between both An Garda Síochána and the Defence Forces, and between my Department and the Department of Justice and Equality regarding security matters generally,” said Kehoe. As a neutral country, Ireland refrains from taking part in other countries’ military operations. Under the terms of the Air Navigation (Carriage of Munitions of War, Weapons and Dangerous Goods) Order 1973 the carriage of weapons and munitions of war is prohibited in any civil aircraft in Irish airspace and on board any Irish registered aircraft, unless an exemption is granted by the minister. Wallace, who has been a long time campaigner against the use of Shannon Airport by US military plans, said in a recent debate on the issue that the US “do not fly empty military planes around the world. They put stuff in them. It costs over €250,000 for a US military plane to make a round trip from America through Shannon to the Middle East and back. They do not leave them empty: it would make no sense”. Email “It's cost €60k this year to have the army help out when US military planes land at Shannon Airport”. Feedback on “It's cost €60k this year to have the army help out when US military planes land at Shannon Airport”.